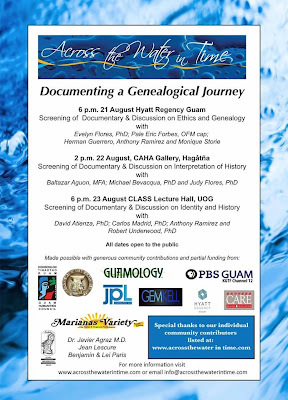 I'm up late trying to finish my talk for tomorrow at the Marianas History Conference at UOG. The title of my talk is "Jumping the Fence" and it is an evaluation of the impact that Nasion Chamoru and its first Maga'lahi Angel Santos has had on contemporary Guam. I outline a number of changes that they helped to facilitate in terms of culture and politics. 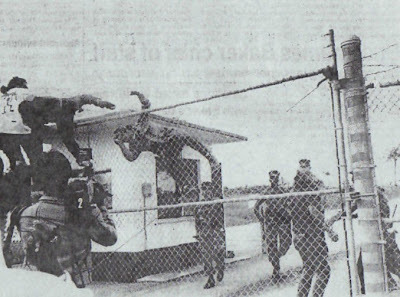 Jumping the fence is a metaphor for decolonization and it refers to the infamous incident when Angel Santos, Ed Benavente and several others jumped the fence at former Naval Air Station, or what is today known as "Tiyan." They did this right in front of media and military police, and when they were arrested Santos spat in the face of one of his captors. 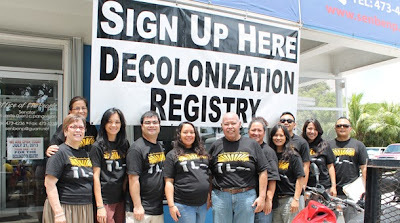 It was a moment that defined Nasion Chamoru for many people in a negative sense, but can also play a big role in helping us understand just how much they changed the island with their activism. Shoichi Yokoi, a straggler who hid in Guam's jungles for 27 years after World War II is a household name on Guam. His story is interesting and inspiring and made him a celebrity for many years in Japan and keeps him a celebrity up until today on Guam. While many focus on the unique and strange aspects of his tale of survival, it is actually his life after his straggling years that makes him important to Guam's history. 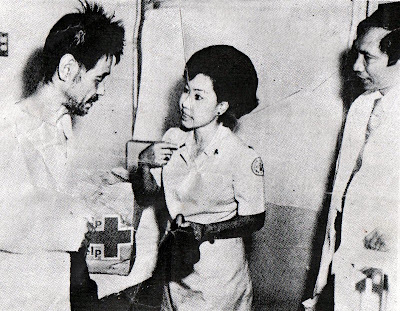 In terms of straggling Yokoi was not unique, there were many stragglers before him in Guam, and although he was the last straggler to be discovered on Guam, others still continued to pop up for years after he was captured. As the article below notes he was resolute in his desire to not be captured, but his loyalty was not even as fierce as some of the others. I recently had to write an article for the website Guampedia on the late Angel Santos, former Guam Senator and Maga’lahi of the Nasion Chamoru. Angel Santos was a very controversial figure during his lifetime. 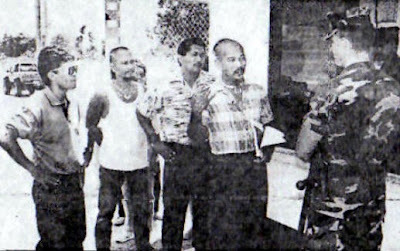 He was considered one of the most hated and most beloved island figures. After he died however, public opinion over his legacy warmed and even those who had publicly condemned him before came to praise some of his statements and accomplishments. While writing my article I went through as many of the public statements and writings of Santos that I could find. He was, like any larger than life figure, incredibly complex and full of contradictions. We may want to reduce the life of a person to things that are simple and inspirational, but they are always more complicated than that. I wanted to share today a list of quotes from his life and writings to give you a better sense of Angel Santos and his own journey in life. WHAT we have seen over the past week during budget discussions is a desperate attempt by the Republican governor and senators to cover up what is truly a travesty of epic proportions, which is the governor’s intent and selection of a non-exclusive health insurance contract for GovGuam employees and retirees that costs all taxpayers $18 million more than an exclusive contract, which the governor just last year said is the best way to go and recommended by health insurance actuarial experts. I participated in a round table discussion earlier this week on education in Guam and its relationship to Chamorro language and culture. We were asked to share our viewpoints on different aspects of this issue, ranging from what we might feel public school education on Guam is doing right and what we feel it is doing poorly. The Chamorro language program in DOE is a very curious institutional animal in terms of analysis. 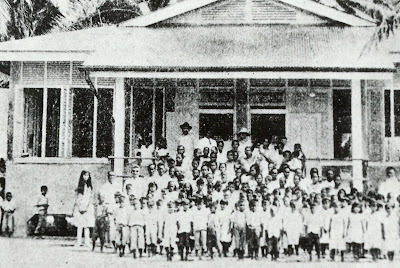 Students are mandated to take Chamorro language in both elementary and middle school and can take it as an elective in high school. Compared to other indigenous groups that are trying to revive and institutionalize their languages this is very impressive and Chamorros can be considered to have a real advantage. But the Chamorro language program in Guam's public schools is impressive in the abstract but in practice it is incredibly ineffective. This Thursday I'll be on a panel to discuss the new film "Across the Water in Time." It is being screened at the Hyatt at 6 pm on Wednesday and I'll be part of a panel on Thursday 2 pm at the CAHA Gallery in the Terlaje Building in Hagatna. My panel will be discussion history and how it relates to this wonderful and exciting project. The film is about the descendants of a Chamorro man named Juan Perez who left island as a whaler in the 19th century. He settled in Hawai'i and married and his name was subsequently changed to Paris. Eventually while doing genealogical research from both islands, his descendants and his relatives were reunited. Below is a video interview of Jillette Leon Guerrero the creator of the film with KUAM News Extra. In addition I pasted some info from the website for the film. I'm pretty sure that I am the #1 of Jack Reacher on this island. 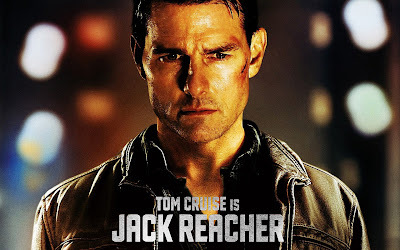 I never heard of Jack Reacher until late last year when I took my girlfriend to watch the movie. She normally hates most of the movies that Hollywood makes and doesn't like Tom Cruise either, but found herself enjoying the movie. I am a fan of Tom Cruise and I really enjoyed the movie. I am one of the most open person in terms of movies. I even enjoy moves that are terrible or that are just messed up in terms of their politics or representations. I know that Avatar or The Lone Ranger were messed up in terms of their politics, but I still enjoyed them. Yes they reimagined and reinvigorated stupid tropes that have marginalized and twisted the ways that we imagine indigenous people for centuries. But all that said, I still enjoyed them. Three years ago I was fortunate enough to travel to Hiroshima and Nagasaki in Japan to represent Guam at the World Conference Against Atomic and Hydrogen Bombs. This meeting is held annually at either of the two cities where atomic bombs fell during World War II. The meetings are attended by thousands of peace and anti-nuclear activists across Japan and across the world. Here is the statement below from this year's conference, held last week. Sixty-eight years have passed since Hiroshima and Nagasaki suffered the atomic bombings. The bombs instantly devastated the two cities and took lives of over 200,000 citizens by the end of 1945. They created a “hell on earth,” which denied humans either to live or die as humans. The Hibakusha, who survived the days have continued to suffer from wounds in both mind and body. The tragedy like this should never be repeated anywhere in the world. Gaige yu' Palau gi este na simana. Manaliligao yu' put "self-government" guini ya taimanu ha ayuda Palau nu i inadilanto-na. Humanao yu' nigap para i "Rock Islands." Sen gatbo este na isla siha. Ma fa'na'an este na lugat "paradise" put i ginefpago-na. Hu gimen i ginefpago guini kalan taya' nai mantana' yu'. Achokka' hu sen agradedesi i tiempo-ku guini. Ti nahong este para Guahu. Achokka' gaige yu' giya para'isu, ti ha tatahgue hao. Ti ha songsongsong i maddok gi sanhalom-hu put i tinaigue-mu. When I teach modern World History, the island of Taiwan makes a couple of cameo appearances. It appears during the resolution of the Chinese Civil War. Chiang Kai-Shek (CKS) flees to Formosa vowing to keep the fight alive from his new island fortress. In the way that I teach the class CKS is not a very sympathetic character. Coming from a Western perspective he is supposed to be the one that we choose as our champion, the one “our” side made deals with as being either the better or two evils or the lesser of two evils. CKS is no saint and is hardly worth much historical sympathy in my opinion and the conduct from the initial purge of communists, to his retreat to Taiwan to the white terror all attest to this.